As a wholesale distributor of leather role-play items, LARP Distribution carries a wide range of wholesale leather armour and wholesale leather products that make ideal pieces for LARPing and re-enactment scenarios. 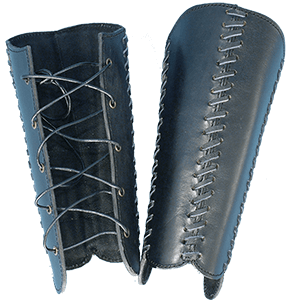 Our leather armour includes various items such as leather body armor, leather greaves, leather bracers, leather helmets, and more. Additionally, our wholesale leather accessories includes useful items for warriors like leather quivers, leather bags, leather belts, and leather frogs. With so many different leather products available, there is sure to be something of use for any kind of LARP character. 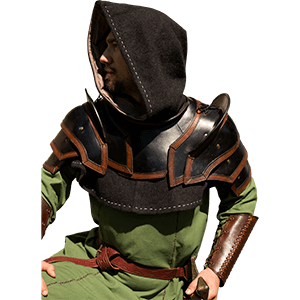 The wholesale leather shoulder armour at LARP Distribution contains many high-quality pieces made from 7-8 oz. to 13-15 oz. leather. We carry excellent wholesale leather pauldrons and wholesale leather spaulders in medieval and fantasy designs that can suit almost any LARP character. Several of our wholesale leather armour pieces cover only a single shoulder, offering a stylized look as well as protection to that side. Our leather LARP shoulder armour makes an excellent alternative to our wholesale steel pauldrons. Here at LARP Distribution, we are pleased to offer an excellent selection of wholesale leather body armour in a wide variety of designs and styles. We carry wholesale leather armour specifically tailored for women and kids, allowing the whole family to be involved in LARP events and re-enactments. Our styles of leather armour include leather brigandines, leather samurai armour, leather fantasy armour, leather Celtic armour, leather Viking armour, and leather medieval armour, as well. Many of our pieces are made with adjustable straps and buckles for a good fit. 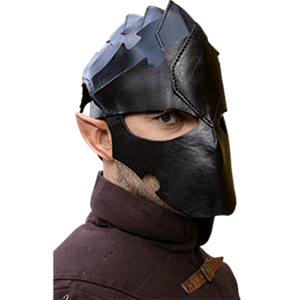 LARP Distribution provides an assortment of leather headwear and leather masks for protection and decoration of the head and face. We carry wholesale leather helmets and helms, wholesale leather mempos, and wholesale leather headbands for kids and adults, available in a variety of different colors and styles. 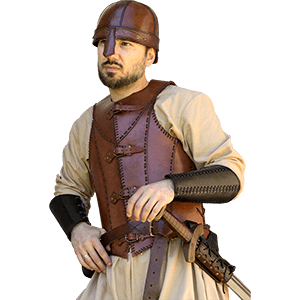 This leather gear appears in designs ranging from fantasy to medieval to zombie to Greek and more, so almost any LARP character can be accommodated. Made from high-quality leather up to 13-15 oz., these pieces offer a great lighter alternative to our wholesale metal helmets. 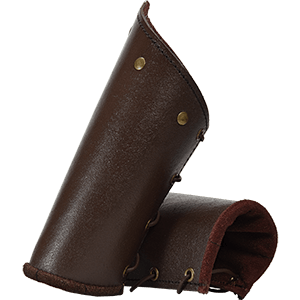 The wholesale LARP gloves and wholesale leather gauntlets offered by LARP Distribution protect hands against blows and strikes during battle, while often providing additional grip for wielding weapons. 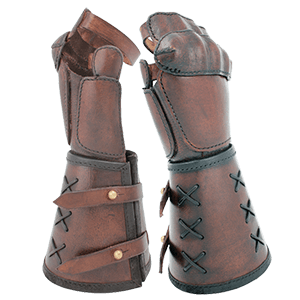 We carry high-quality swordsman gloves and armored gauntlets made from leather and suede that match well with our other pieces of wholesale leather armour. These leather gloves and LARP gauntlets suit most LARP characters and costumes, making them flexible leather accessories for function and style. The wholesale leather corsets and wholesale leather waist cinchers offered by LARP Distribution are made right here in our leather shop, handcrafted with a high attention to detail. These hard leather underbust corsets come in a mix of styles that can easily fit medieval, Renaissance, steampunk, pirate, or fantasy looks. Our wholesale corsets come in side-lacing and back-lacing designs that allow each piece to be adjusted for fit and comfort. 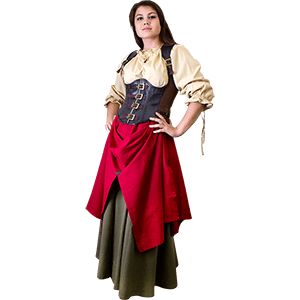 Several of these excellent LARP corsets are available in a range of different colors, as well. 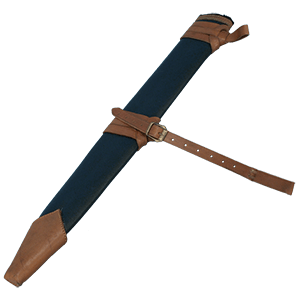 LARPers and traditional archers alike can make use of the high-quality wholesale leather quivers available from LARP Distribution. 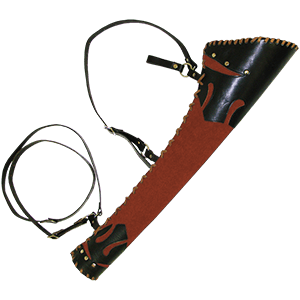 These wholesale leather archery supplies come in a range of styles from fantasy to medieval, and they can suit almost any LARP character. Several archer quivers come in multiple color options, as well. Many of our wholesale LARP quivers feature adjustable shoulder straps, and most are worn on the back so that the straps cross over the chest.